Last month, we told you Android 7.0 Nougat would be making its way to several of our smartphones before the end of the year, including Moto Z. Well, we have some good news...the wait is over! We’ll begin rolling out Android 7.0 Nougat globally to Moto Z and Moto Z Force this week. You can visit the Moto software upgrades page here for more details, including specific information by country and carrier. high-resolution displays, ultra-smooth graphics and high-fidelity sensors for precise head tracking. Daydream offers an unprecedented opportunity to dive into a kaleidoscope of experiences. With Daydream, you can explore new worlds, attend a sporting event or concert, enjoy your own personal cinema and so much more. To get started, you’ll need Google’s VR headset and controller - Daydream View - available at Verizon, Best Buy and the Google Store in the U.S. Check your local stores in other markets. From the first mobile phone to shatterproof smartphone screens to seamless modularity with Moto Mods that expand what you can do with your smartphone, we continue to challenge the status quo to bring you the best mobile experiences. 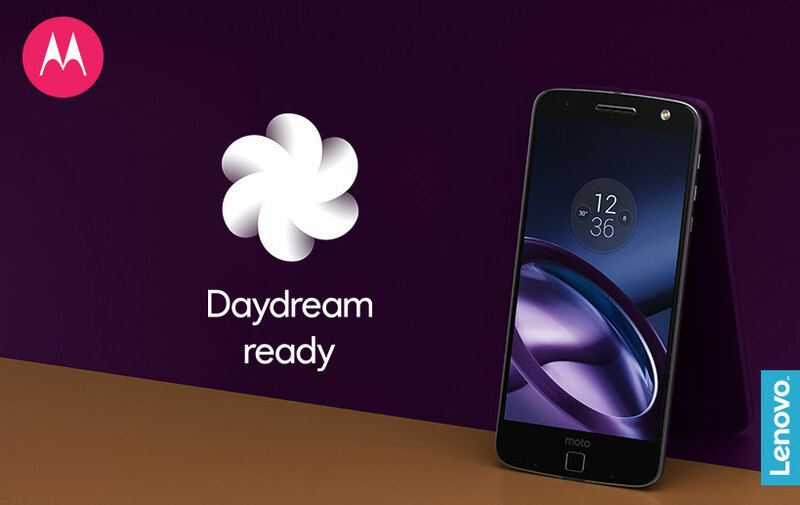 The possibilities with Moto Z are truly endless, not only with Moto Mods, but now with Daydream, too.